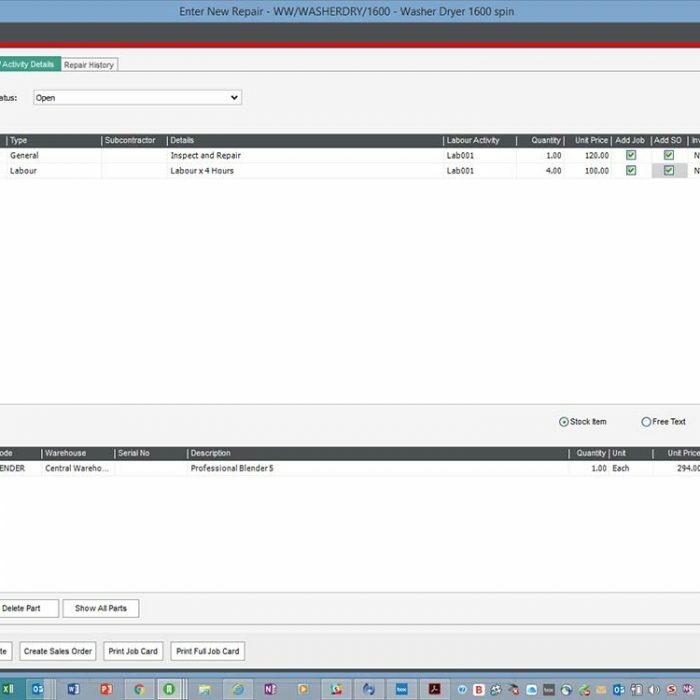 Warranties, Service and Repairs is a repair and contract management system for Sage 200 which follows the full life cycle of an asset from sale to servicing, warranty renewal and repairs. 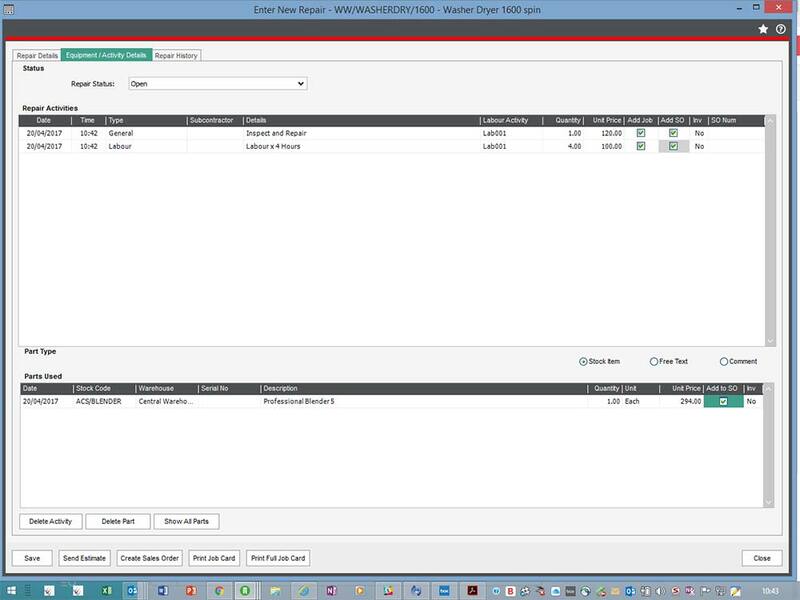 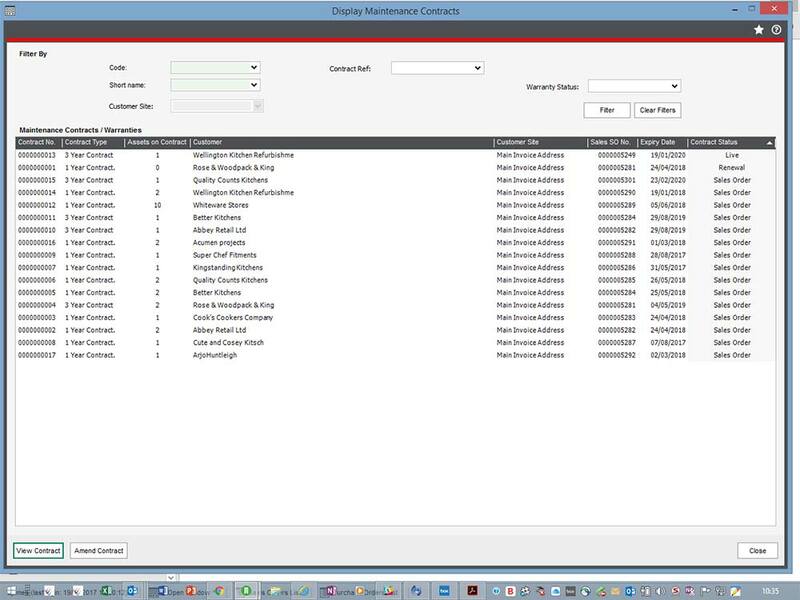 Fully integrated with Sage 200, our Warranties, Service and Repairs module gives you full control to manage your repair and contract processes. 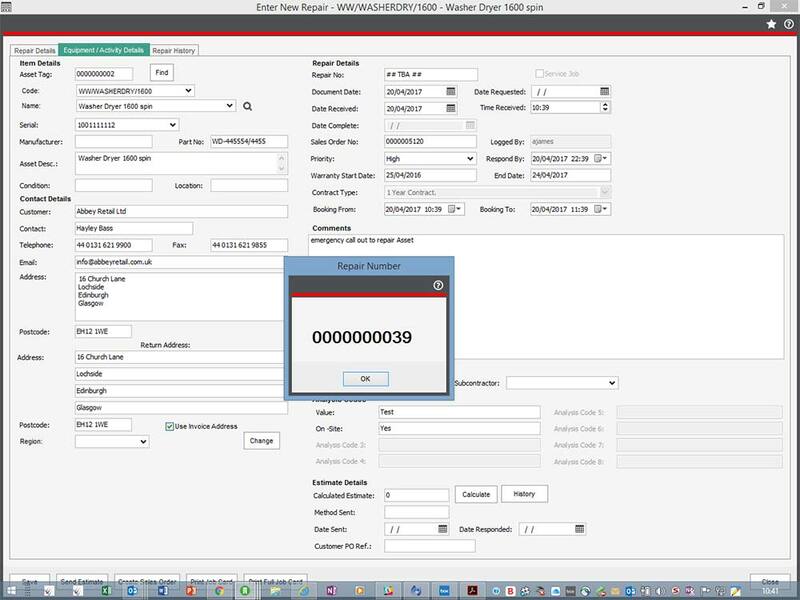 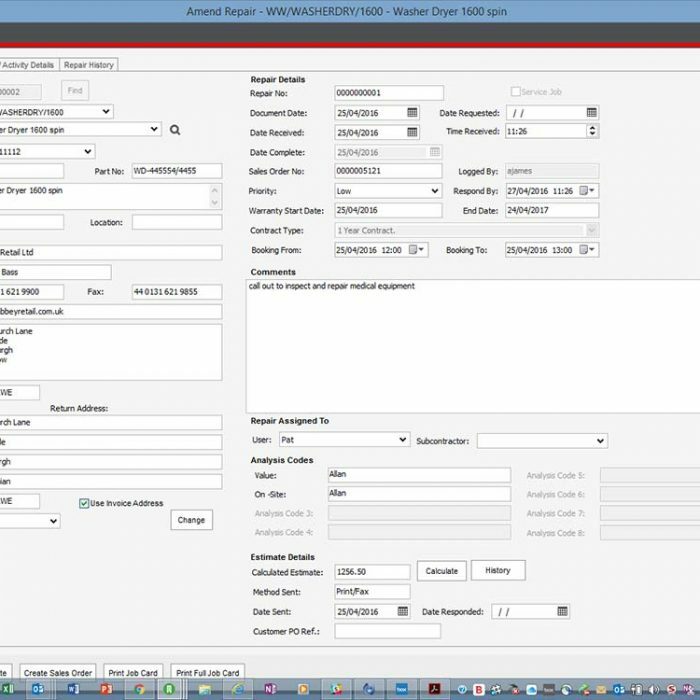 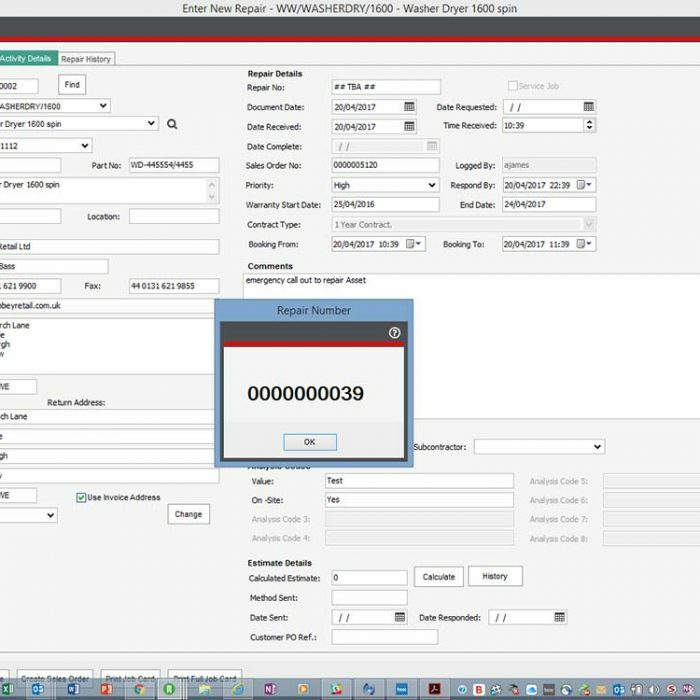 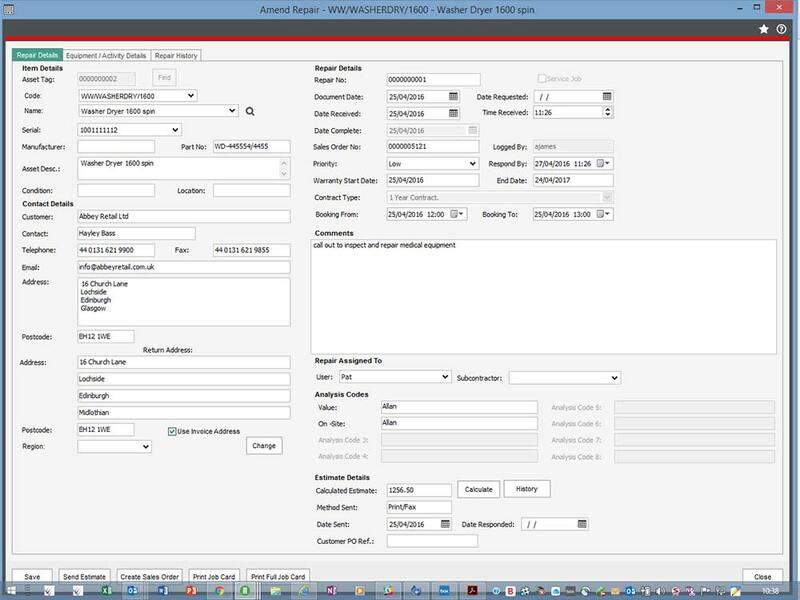 Repairs can be logged in the system against an asset and assigned to an engineer or sub-contractor. 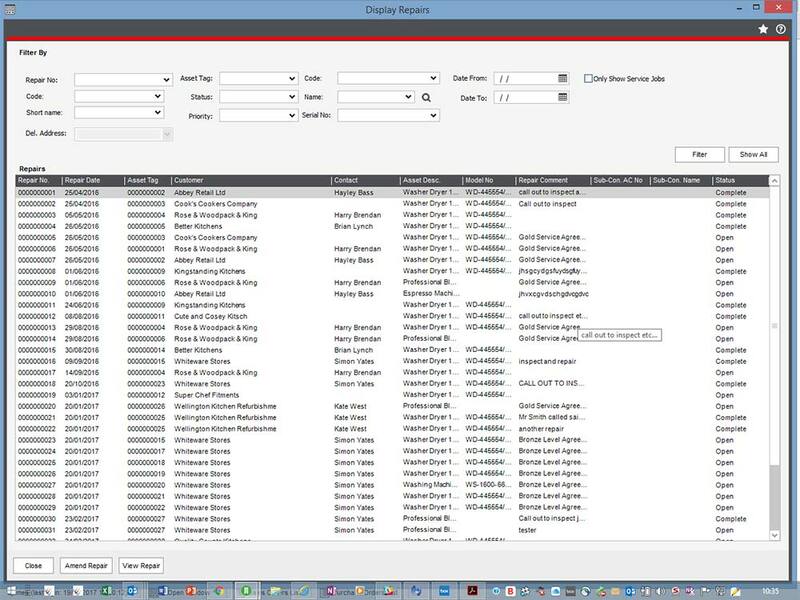 Track associated parts and labour against repair jobs and bill them to customers. 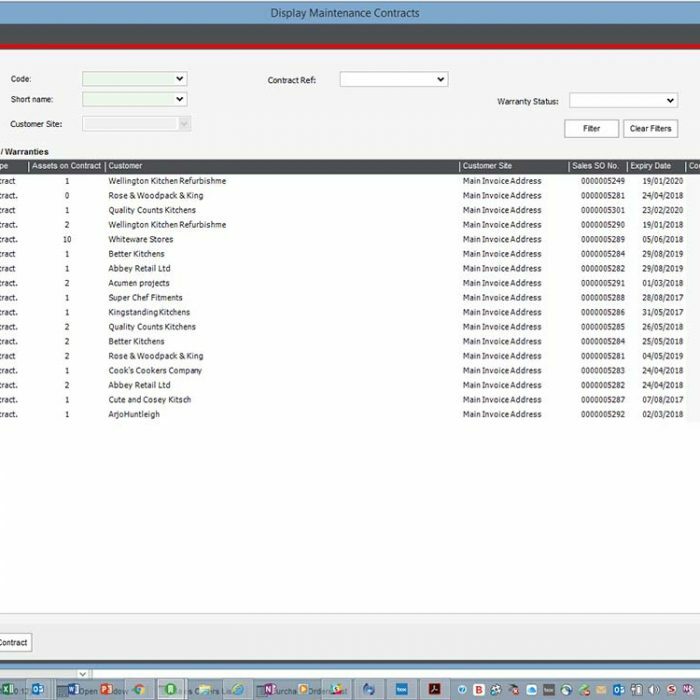 Serial items sold to a customer can be tracked as assets within the system, logging location of ownership and warranties. 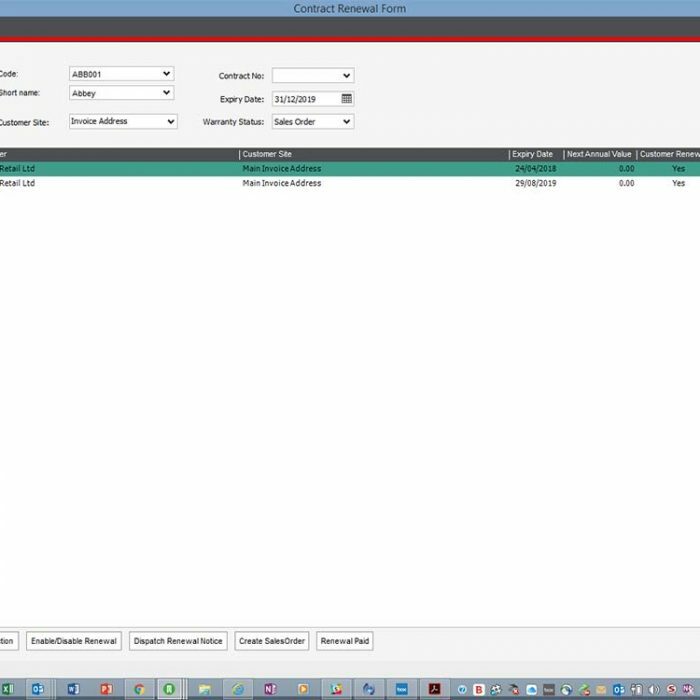 Each customer can have associated contracts within assigned assets which are renewed on a recurring basis. 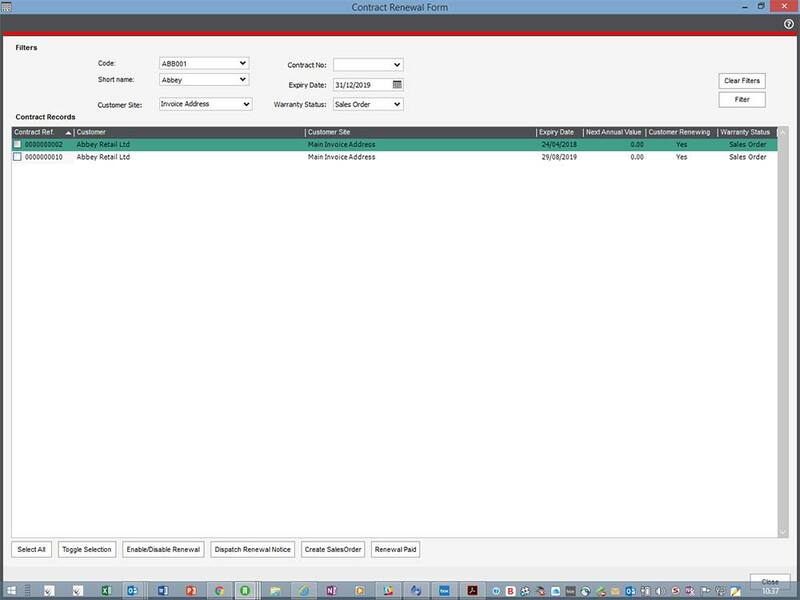 Servicing of goods can be automated at customisable intervals with automatic job creation and tasks. Our advanced diary system allows users to easily assign engineers to service jobs based on availability and location, ensuring you maximise engineers’ time. 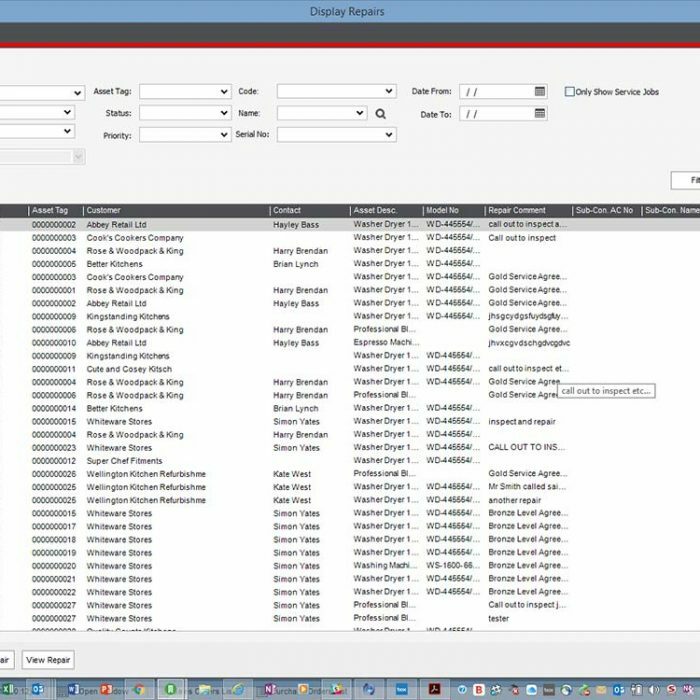 Tracking the cost of associated parts and labour against repair and service jobs allows you to monitor the true profitability of jobs. 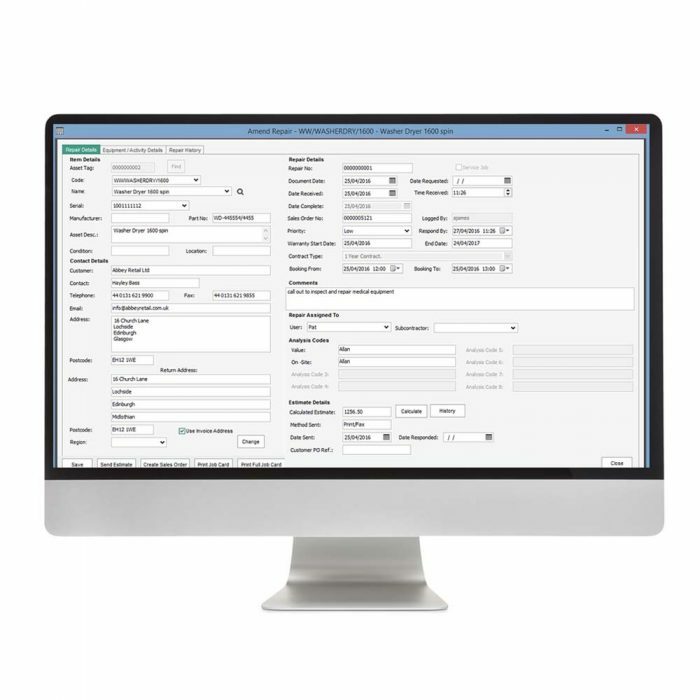 Warranties, Service and Repairs also includes our popular Plus Pack for Sage 200 at no additional cost, giving you access to over 80 further Addons to enhance your Sage 200 system.